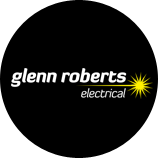 Glenn Roberts Electrical is a specialist electrical servicing and contracting company in Nelson. With over 25 years in business, it’s no wonder Glenn Roberts Electrical has earnt a reputation as Nelson’s most trusted electricians. Thank you SunRoom team for another smooth project. We love our new website and the revamped new look that fits our branding perfectly. All the added features and the easy-to-use CMS are the icing on the cake. Well done on a tremendous job!